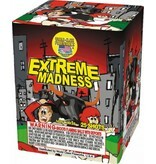 Give the craziest performance yet with Extreme Madness! Spectators will be amazed by the multiple effects offered in this display: silverfish, multi-color breaks, silver spinners, whistlers, crackling blue stars and more! 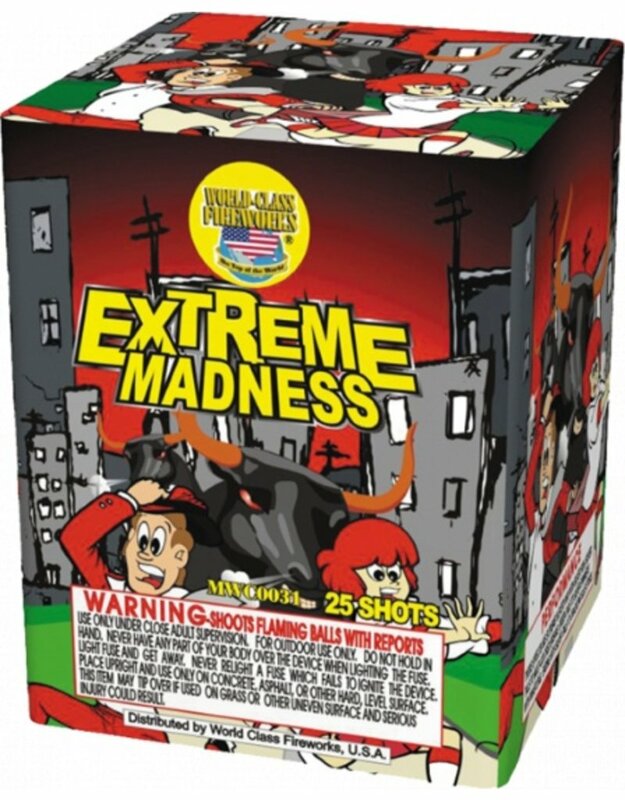 If you're into making your show more intense than ever, this 25-shot extreme dazzler is for you!